In the next decades, China will need huge amounts of natural gas to cover its domestic consumption. According to the International Energy Agency (IEA) Chinas natural gas demand will reach 300 – 350 bcm per year until 2019. Also, according to the U.S. Energy Information Administration China possess the biggest amount of the technically recoverable shale gas reserves in the world. Over the last two-three years, the Chinese government made it clear that its goal is to cover a large share of its natural gas demands through the extraction and production of shale gas until 2020. However, the current low oil price environment definitely makes the implementation of this ambition plan rather challenging. Looking at the global market trends, the IEA predicts the rise of the global natural gas production in a near-linear fashion up to 5 400 bcm by 2040 while the role for unconventional gas will be increasingly important in the global energy mix (it’s share will increase from 17% to 31%). Also, this mini report predicts that gas reserves are more than sufficient to meet the global increase in demand. However, bringing the additional volumes on stream will require more than $11 trillion of cumulative investment along the gas supply chain. This is clearly a challenge, as the regional and international gas price are likely to be low. • Gas reserves in the Sichuan basin tend to contain high amounts of corrosive and potentially lethal hydrogen sulphide, and levels of carbon dioxide and nitrogen could also be high. China’s general strategy for the development of shale gas is built around the strategic partnerships with foreign companies, which bring the necessary skills and technologies to China. Also, these foreign companies have to cooperate with the main China NOCs. It is obvious that if China wants to develop its shale gas reserves it must force its companies to cooperate with IOCs. China NOCs will benefit from this cooperation and will be able to upgrade their technical and R&D capabilities in the shale gas sector. IOCs too will benefit from this cooperation, as they will get the access to Chinese natural gas market, diversify their business portfolios and access China’s enormous shale gas reserves. Based on the above graph China plans to cover a large share of its domestic gas consumption via LNG imports and via pipelines importing gas from Central Asia. For instance, according to the international media, Turkmenistan has exported 35-40 bcm per year to China for 2014. The outlook of China Shale gas Sector sees gloomy. 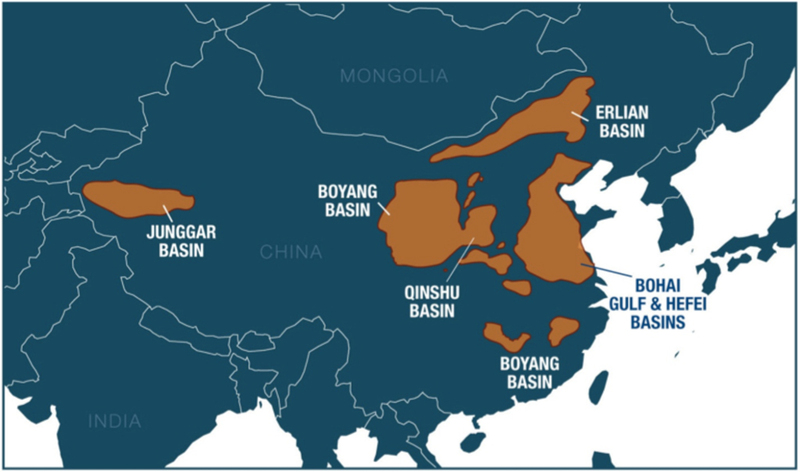 According to the Shale Gas International website, ConocoPhillips announced that it is in the process of terminating its cooperation with Chinese counterparts (it– carried out under a joint study agreement (JSA) with PetroChina), because the 404,686 hectares Qijiang Block “had been declared a military exclusion zone and would not be open for foreign cooperation”1. Finally, there are many technical, economic, social, business and geopolitical issues that hamper the development of China’s shale gas reserves.